She’s certain that her destiny is to be a big star, not because it has been handed to her, but because she knows that she will do whatever it takes to earn it. There is a consensus when it comes to describing singer and actress Kyline Alcantara. Those who know her well all say the same thing: She speaks and acts much older than her age of 16 years. Everyone from her handler, to her glam team, to her fans, and even her own mom all attest to this. There are a couple of plausible explanations: One, perhaps she simply can’t help it. Kyline, after all, belongs to Generation Z, and they’re often characterized to be “growing up too fast.” They’re the first true digital natives—the ones whose baby photos consist of grainy 2MP phone camera renditions, the ones with Facebook accounts before they’re in preschool, the ones who can’t imagine life without Google or Youtube or Netflix. They’re the ones coming of age with smartphones in hand, replete with information on virtually anything from how to dab to how to tie shoelaces to how to navigate the transition from adolescence to adulthood. Combine that with their parents who are consciously creating an empowering, nurturing environment for them, and naturally, you’ll get teenagers who are poised, confident, and who sound smarter than their elders (probably because they already are). Maybe it’s because of her career’s whirlwind trajectory in the last twelve months. 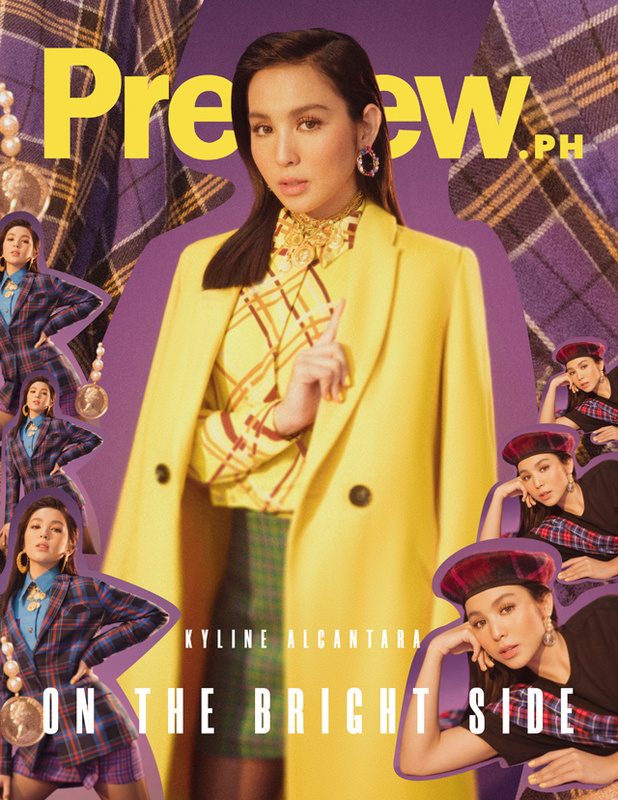 To say that Kyline had a big 2018 would be an understatement. First, her breakout performance in GMA’s Kambal, Karibal earned her the media title of “La Nueva Contravida” and convinced critics that she’s the next big young star to watch. 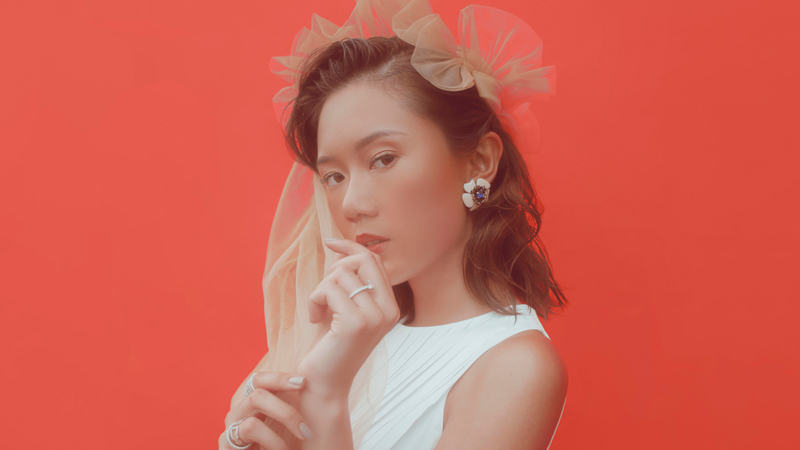 Then, she won a handful of local and international recognitions, including one from the Asian Academy Creative Awards in Singapore, where Kyline was hailed as a National Winner for the Best Supporting Actress Category. She released a self-titled debut album. She also became a co-host on Studio 7, her home network’s weekly musical variety show. On top of all that, she also held her first solo concert, dubbed “TAKE FL16HT,” at the Skydome in SM North. In a single year, Kyline has already achieved enough milestones worthy of an established player in the cutthroat world of show biz. Merely listing these circumstances would have sufficed to paint a picture of Kyline as a young star whose take-charge, positive attitude mirrors her current plum status as a lead actress on television. But observing her over the course of a day, along with a quick chat squeezed in between shoot layouts, adds more to the story: Kyline’s mature disposition also stems from a determined optimism that differs from the typical carefree hopefulness of her peers. She’s certain that her destiny is to be a big star, not because it has been handed to her, but because she knows that she will do whatever it takes to earn it. In fact, “angkin na angkin ang pangarap” is how she describes herself. It must be noted that this was said in jest, after she gamely answered the battery of questions she endured for this story. Yet it’s a bold, refreshing take on the kind of positivity that’s badly needed in these times. It’s 2019, are we still shaming women for owning their goals and dreams? Kyline—and Preview—certainly don’t think so. So listen up, old folks: It’s time to learn a thing or two from the kids. Yes, Kyline’s ultimate idol is Queen B herself—not Ariana, Camilla, or Billie, or any other singer who’s closer to her age. True to form, Kyline had come from a 2 a.m. pack up prior to the shoot’s 8 a.m. call time—but throughout the morning there was nary a yawn or a tamad pose from her. She was in cheerful, fighting form through all five layouts, with enough energy to spare afterwards for a sing-along Q & A. Though she’s technically still a minor, her parents hardly accompany her to shoots and shows these days (Preview, of course, was a happy exception as it’s her first fashion cover). Recently, Kyline even did a show in Iloilo with just her handler acting as her chaperone. “Para masanay na siya na makipag-usap sa iba na siya lang,” her mom, Weng, explains. So far, Kyline has fared well with this set-up; still, like any other teenager, she does try to push her boundaries once in a while. Her mom reports that Kyline is starting to enjoy going out and attending parties—though she’s still required to follow her curfew. “‘Pag overnight, kino-consult pa din kay Daddy,” her mom says. Her mom further affirms that her daughter has always possessed the initiative to go after what she wants. “Pag may gusto talaga siyang bagay, nadi-disiplina niya talaga yung sarili niya. Like, for example, gusto niya singing, talagang hindi siya (iinom) ng malamig, magsasanay siya,” she says. This month, Kyline is set to take on her first lead role in Inagaw Na Bituin, an upcoming primetime drama on GMA about a girl who’s about to reclaim her rightful heritage as the daughter of two powerful celebrity figures. Kyline is determined to make her performance an unforgettable one, something her fans haven’t seen from her previous roles. So, don’t expect her portrayal to follow the standard telenovela playbook of a martyr who transforms into a superstar, falls in love, and lives happily ever after. Despite her young age, Kyline has already had her fair share of rejections and challenges. Her backstory has already been narrated in numerous interviews and even an entire Magpakailanman episode (where Kyline played herself). The gist goes like this: Kyline grew up in Bicol, learning to sing almost as soon as she learned to talk. At age four, she and her mom moved to Manila. She auditioned for a kids’ star search at age seven and made it to the final 10, only to be eliminated on the first round. Through all of this, she remained hopeful that she’d get her break soon enough. “From those rejections, I learned. And I made those my motivation to push [myself] and work harder. In this industry it is not enough that you know things. 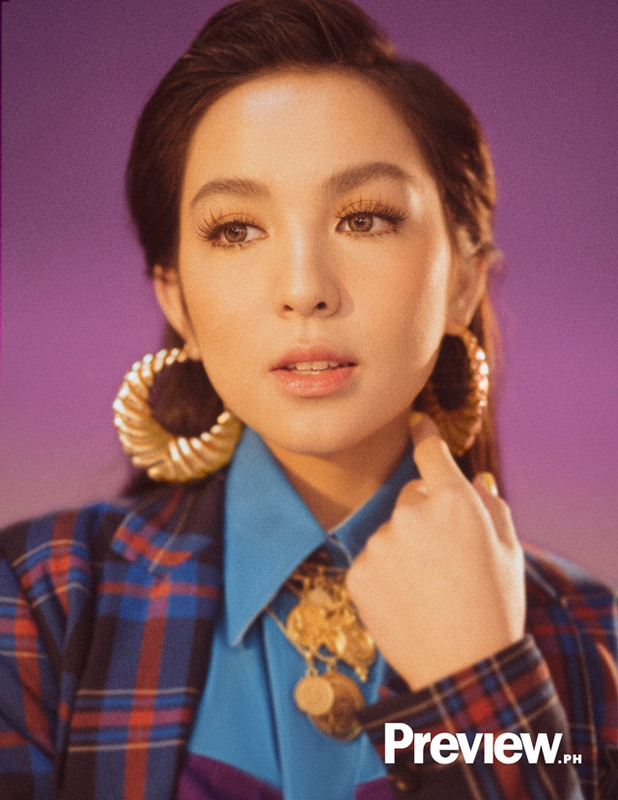 You should continue to strive to flourish in your craft, because every day there will be a new dreamer that might be better than you,” Kyline says. "I’ve encountered failures, bashing, and hurtful words. Yes, these have affected me somehow, but I stand strong, and turn them into something positive by making them my motivation to be better." Even now, Kyline is already self-aware that if she veers off-course, it’s not just her future at stake. She’s also looking out for her fans—her Sunflowers, she calls them, because they brighten up her day. As she’s slowly learning to establish her identity, her personal style has been evolving along with it. These days, she’s becoming more adventurous with her outfits—“Kung ano ibibigay sa akin na style, I’ll just inject a touch of Kyline.” Case in point: in one layout, we traded in white boots with her own white sneaks, and the look worked. One of her ‘grams from December 2018 is a pink-hued slogan that goes, “Thick is cute. Skinny is cute. Fat is cute. All bodies are cute.” High-five emojis and outbursts of “Yas!” ensued in the comments. “I'm skinny and I don't think I'm cute, but when I read this, I do think I'm cute,” one wrote. Like most of her fans, Kyline grew up with no memory of life before the internet, cellphones, or social media. They’re more empowered, informed, and connected than previous generations; on the flip side, they’re more exposed and vulnerable to imagined and real triggers that can cause anxiety, depression, and body-related issues. It’s a reality that Kyline is all too aware of, and one that she wants to actively speak out about. Such sage advice from a girl who’s only 16 years old. But looking at where she is now, and what it took to get there, it’s not hard to be convinced that Kyline truly believes in these words, and that she will keep doing what she can to make it a reality not just for herself, but for others. Despite her perceived maturity, Kyline believes that there’s still lots of room for her to grow. “2018 was a very blessed year for me. It feels surreal. So I challenged myself this 2019 to be better,” Kyline says. “I’m hungrier… I want to work harder, because I don't want my dream to be snatched from me,” she says. If the likes of Kyline offer a peek into how her generation will run the world, then the future looks bright.